Go to that beach wedding in style with an all white color linen short set by Successo. Successo makes cheap priced but well made linen short sets that have the clean classic style you want to wear. 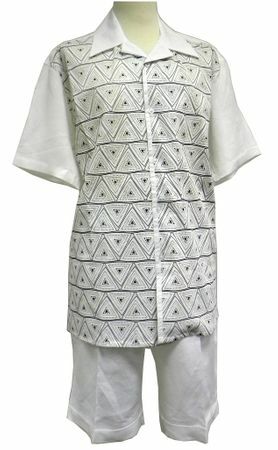 This white linen short outfit comes with knee length shorts with pleats and a triangle mesh pattern front style shirt. Ready for the beach party. Find More Mens Linen Outfits Here.